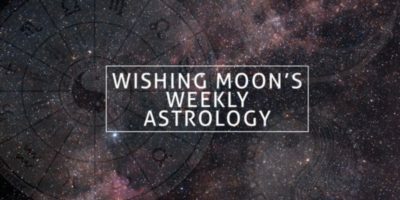 If the last few weeks have been a little different from your usual routine, you may feel as though you’ve sprung back to reality in the coming days. Perhaps you’ve been on holiday, you’ve been going through an unusual period in your life or you’ve been surrounded by unfamiliar people. Whatever’s been going on, you’ll soon find your feet again and everything will return to how it used to be. Try to take inspiration from your period of change and use it going forward. Whether you had a relaxing break or a turbulent crisis, you can certainly learn something from the experience. Could it be time to put something behind you once and for all? If a toxic friend, bad habit or boring job is stopping you from being the best version of you, ask yourself whether it’s time to bite the bullet and break free. 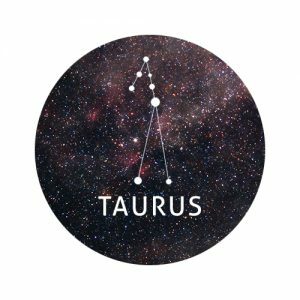 This could be the start of a new adventure, Taurus, and it could open up everything from new friendships to romance. If you do make a change, celebrate with a bottle of bubbly along with an evening of great music. 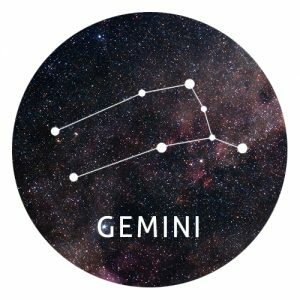 Coupled up Geminis may be feeling stronger about their partners than ever before. You can’t quite put your finger on what’s changed but whatever it is, it’s making you weak at the knees! If your relationship was starting to feel a bit repetitive, these new feelings could be the start of something really special. Could this person be your soulmate? 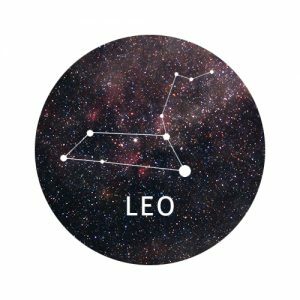 If you’re a single Gemini, question whether you’re really looking for love in the traditional sense. If you think something is missing in your life, don’t assume you need romance. Perhaps you need to reignite the love you have for yourself or find a new hobby that fills you with passion. You’ll find romantic love one day but for now, perhaps you can get more fulfilment elsewhere. You might be feeling refreshed and energised this week, Cancer, and if that’s the case, make the most of this period of peace and tranquillity to plan and implement change. The idea of making big decisions may be the last thing on your mind when you’re feeling so relaxed and at peace. But trust us. Your clear mind and fresh outlook could help you to make decisions that have fruitful consequences for years to come. The rest of August could be full of abundance and opportunities, if you go into it with your eyes, heart and mind open. Let go of any judgement or negativity that you’ve been harbouring in recent months. By leaving your assumptions at the door, you can move onto brighter things. Everywhere you turn you feel like you’re drowning in nostalgia. Whether you stumble across a box of old photographs, a toy from your childhood or a cinema ticket from your first date, these happy memories remind you how precious life is. Take this opportunity to have a digital detox, even if it’s just for a day or two. In this internet and social media driven world, we often neglect the things we can see, hear and touch (without the need for a screen). Book a weekend away with your partner or arrange a picnic in the park with your friends. If you’re feeling sad that so many happy memories are behind you, remember that there’s still plenty of time to make brand new ones! Are we really half way through the month already? If your last few weeks have been action packed, you may be wondering how you’re going to get everything done by the time September comes around. If worries or fears often cause you to procrastinate, it’s time to push these habits to one side. The longer you spend worrying about the outcome, the more time you waste! It’s best to jump straight in and get cracking. Write a to-do list and make a start on it today. Don’t think about the outcome of each task, just make a start! Starting is often the hardest part. An old flame from the past may re-enter your life – for better or for worse. Whether you’re in a relationship at the moment or happily single, this person’s return could throw a spanner in the works and bring fresh questions to your mind. The phrase ‘whatever will be, will be’ is as true as ever and it’s wise to let things take their course and see what happens. No matter how things play out, your romantic future looks bright, Libra. The penny’s dropped and you’re wondering why you never realised this before! This new found moment of clarity and wisdom may lift a weight off your shoulders and leave you feeling brighter and ready to tackle everything that life throws at you. Have you been making assumptions, Scorpio? In recent weeks your mind may have been plagued with feelings of inadequacy and inferiority. Be careful not to assume everyone else knows what they’re doing. Chances are, they’re wandering through life with just as much confusion and uncertainty as you are. As we told you last week, the grass isn’t always greener on the other side. Your competitive streak could bring out the worst in you, if you’re not careful. You’re so passionate about being the best and being recognised for your triumphs that you sometimes forget what truly matters in life. Don’t push friends and family out the way on your quest for success. Your lust for competition is a great asset to have but don’t neglect your softer qualities in the process. You’re a fantastic friend and methodical thinker who always has the answers to your loved ones’ questions. 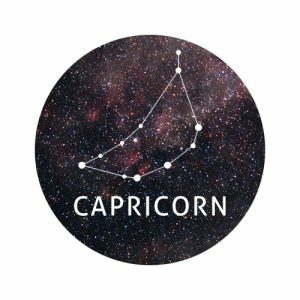 Turning down an invite for an event you don’t want to attend could cause more drama than it’s worth, Capricorn. Before making your excuses, question whether you may regret this decision at a later date. If you suspect your absence could cause an argument, it may be worth going along just to keep the peace. You may feel a little introverted in the coming days, Capricorn, even if this trait is out of character for you. Although some social gatherings may be unavoidable, don’t be afraid to spend time alone when you can. Having a night in with your phone turned off could be just the thing you need. 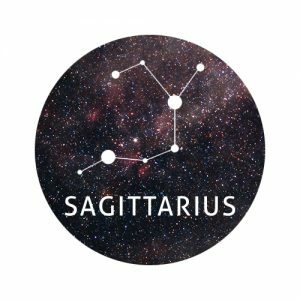 Make communication your primary focus this week, Aquarius. Phone an old friend for a good chat, meet up with someone you know you can have a heart-to-heart with, and ensure you’re expressing your thoughts clearly at work. Don’t shy away from speaking your mind or sharing your opinions. Over indulgence could be an issue this week, Aquarius, but don’t beat yourself up over a weekend of good food, good wine or good TV. We all deserve to treat ourselves and it’s nothing to feel guilty over. As long as you’ve ticked everything off your to-do list, don’t worry about a period of laziness and indulgence. We place a lot of trust in people when we open up to them and share our true feelings. Sadly, some people just don’t know how to react, even if they do have the best intentions. If you’ve poured your heart out to someone close to you and they didn’t respond in a very positive or supportive way, you may be feeling a little angry this week, Pisces. It’s not worth abandoning your friendship over this. But it could be worth looking for ways to expand your social circle. Meeting new people and developing new relationships could increase your chances of having a supportive network to turn to in the future.